Solid individual, who returned to top form in the Pendil Novices Chase at Kempton last time out over Secret Investor who has since won at Wincanton. Is four from five this term - only defeat was at the Sunbury track when behind the best in the division in Kauto Star and never got the rub of the green that day. Again form been boosted with La Bague Au Roi winning another Grade One in Ireland, and Topofthegame and Santini fighting out the finish in the RSA. Drops back to two-and-half-miles, which he has won over twice this season in the lead up to the Festival; a victory at Prestbury Park back at December, and at Market Rasen. Last time out was a first time step-up to Class One level and it was all too much, so worth another chance. Unseated rider early on in the Arkle at the Cheltenham Festival, and hard to gauge how he would have run in a first time Grade One. Until then, he had converted his fine handicap form from Christmas, into some top high-profile admissions with a sauntering display from the front in the Kingmaker at Sandown - over divisional rival Kalashnikov. Must work on his jumping here, but will suit the tight turns. Another casualty from the dramatic Arkle won by Duc Des Genievres at the Cheltenham, when essentially being brought down by the fall of Ornua at the sixth fence. Had looked well before hand and was bowling along nicely until coming to grief. Again could not really gather how and where he would have been at the finish, so arrives here again with something to prove. Ground to make up with Glen Forsa on Sandown performance, but left-handed track is in his favour as he steps up beyond two miles now. Good fourth in the JLT to Defi Du Seuil - who misses this with a late injury. Also successful at Ascot before Christmas - a worthy contender here but must put his best foot forward in this top field. Good novice hurdler, who finish third in last year's Supreme behind Summerville Boy and most notably Kalashnikov. Third and a long way behind Le Richebourg at the Dublin Racing Festival proved his raw pace cannot compete with the best around and thus prompted a step-up in trip. He was third at the Festival again - this time in the JLT behind Defi, which was a really promising performance. Must up his game a bit more though. The Skelton's are targeting 200 winners between now and the end of the season, and are sending several of their top handicaps to the top graded affairs this weekend. One of which is Spiritofthegames who finished an excellent third off a big weight in the Brown Advisory Plate at the Festival. The Gosden Mob have the useful The Russian Doyen, who picks up a good race every now and then. Finished fourth in the Close Bros at Cheltenham, well behind A Plus Tard, with his best form coming in Handicaps. Seems to bring his best at Exeter which is almost the exact opposite to the Aintree contours and layout, so that would be against him. Incredible run of seconds continued at the Festival in the Arkle, when this 6yo finished well behind Duc Des Genievres, but best of the rest. Second to Le Richebourg at Leopardstown (twice) as well as runner-up to Hardline at Navan earlier on the campaign indicates that he always seems to come up against a top rival and cannot land a blow. Looks bound for no better than second again here with plenty of top names arriving, but good each way claims. Seventh in the JLT when weakening after three out. Won a couple of nice races this year - including the Altcar Novices at Haydock back in January before finishing a close second to Bags Groove in the same grade at Kempton. Grade One just appeared a bit too hot for her last time, but deserves another go under a useful weight allowance and cannot afford the room for error. 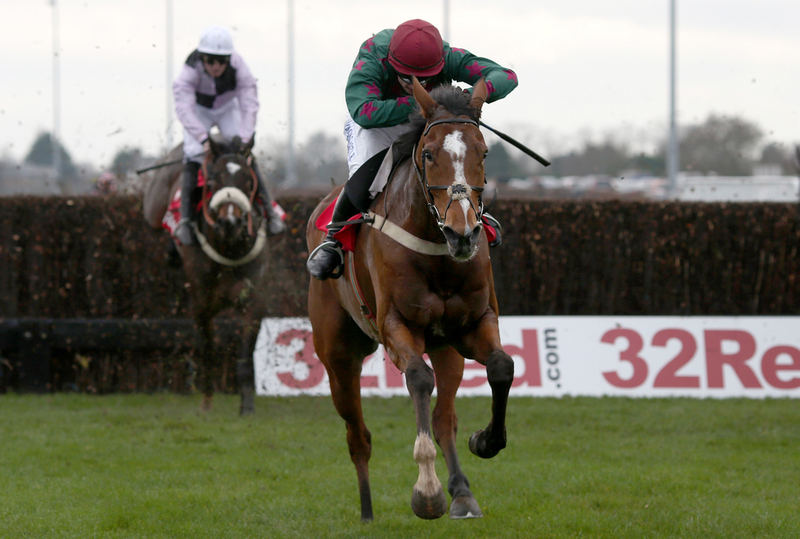 Standout chasing mare of the season by far, who skipped Cheltenham for a fresh crack at this. Four wins this season, including the Kauto Star at Kempton over Christmas - form that has been boosted with Santini and Topofthegame fighting out the finish in last month's RSA. The 8yo instead crossed the Irish Sea to dominate at Leopardstown, and looks a big player wherever she goes - does have the option for the three-mile novice chase which would be more likely. Outstanding improver, who can jump ever so well.